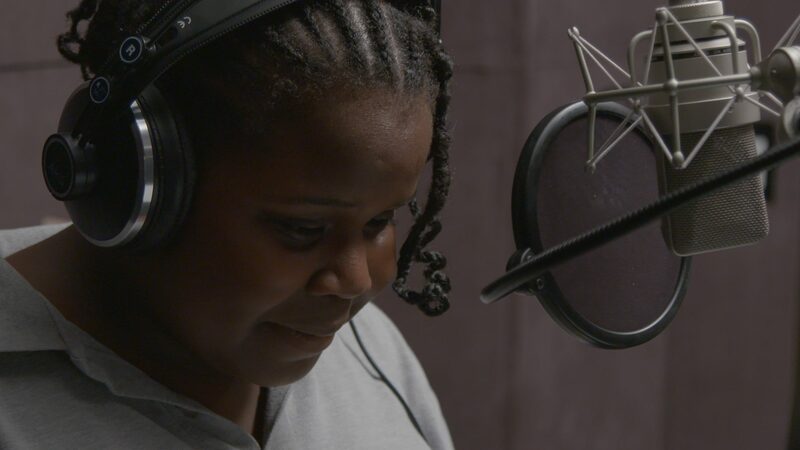 Francine and her peers are aided through their community’s transition by teachers and mentors who show them the power of art and creativity in navigating adversity. From garage reggae jams to the soft jazz emanating behind languid shots of the neighbourhood and its people, from Francine’s careful reading of Edgar Allan Poe to the recording studio where the neighbourhood’s teenagers learn to lay down their musical tracks, the capacity of art to provide strength and create change is fully realized. As Francine herself says, art is an “escape from reality.” Charles Officer builds a powerful bond of trust with this luminous girl, crafting a poignant urban observational film that explores intertwining themes of economic disparity, home, love, and self-esteem.